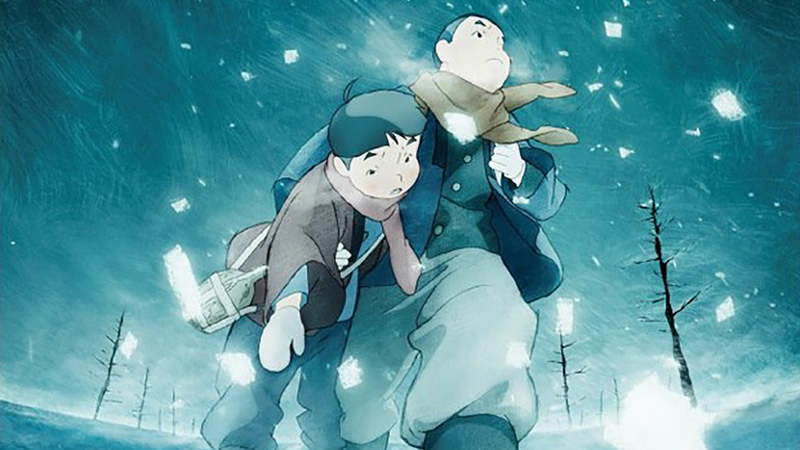 Whilst the demise of Studio Ghibli, after Miyazaki Hiyao’s retirement, has been exaggerated it is still reassuring to see an anime released in the UK; particularly one as good as Giovanni’s Island. It was screened as part of an ambitious programme, at the Kala Sangam centre, that attempts to keep arthouse cinema in Bradford after Picturehouse’s takeover of programming at the National Media Museum. After an almost sold out start, only three turned up the evening screening of this film. There are two more showings in the current season – check them out here and here. Giovanni’s Island is a child eye’s view of the aftermath of war when Soviet soldiers occupied the northern Japanese island of the setting. It’s also a ‘coming of age’ story, not as extreme as JG Ballard’s Empire of the Sun, however nonetheless it portrays the way in which children, in particular, are psychological (as well as physical) casualties of war. The relationship between ‘Giovanni’ (the non de plume of the protagonist is a reference to a famous Japanese novel Night on the Galactic Road) and Russian girl, Tanya, is heartbreakingly drawn. Some critics found the film sentimental however as the film is a child’s eye view this is entirely appropriate. Whilst there is a fine line between bathos and pathos, I do wonder if critics, who find themselves ‘tearing up’ tend to resist their emotional response by blaming the film. The animation, as is usually the case with anime, looks fabulous though the drawing of characters is particularly undefined, even by anime’s standards. 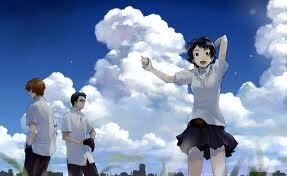 Critics have compared this film to Miyazaki’s My Neighbour Totoro (Japan, 1988) as it will also appeal to very young children. Of course his films appeal to all ages such is their artistry, however I was slightly disappointed in Ponyo though I can’t exactly pinpoint why. When Ponyo, a fish wanting to be human, is running on waves chasing a car, we are regaled by typically brilliant animation so, maybe, it’s the slightly confusing, simple narrative that doesn’t engage me. 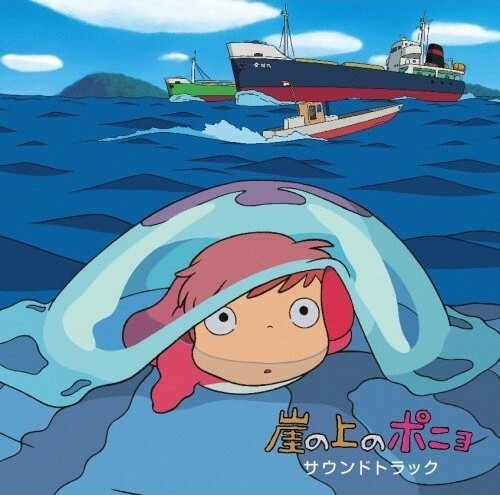 Miyazaki’s recent films have all had darker aspects to them as does Totoro; in Ponyo – other than references to the polluted sea and an absent father – the film’s world is fairly sunny and there is very little narrative tension; I was never convinced that Ponyo had unbalanced the world and that it going to end. Of course, the narrative isn’t really that important. Part of the problem was I saw it in the dubbed version which risks Disneyfying the film though the lack of clear good-bad is very unHollywood. The only film I had seen by Isao Takahata was Grave of the Fireflies (1988), an astonishing depiction of post-war Japan. Only Yesterday is very different, a pastoral evocation of a second ‘coming of age’ of the 27 year old teacher who ‘takes’ her 10 year old self on holiday. At the start, the cross-cutting between the 10 year old Taeko and the older version is slightly confusing as it’s unmotivated by the narrative. It’s a wonderful conceit that dramatises the role of memory, and the past, in our lives. Not without its longeurs during its 2-hour length, it has, nevertheless, some magical moments; such as when Taeko walks on air having made tentative contact with a boy who also fancies her. The Japanese countryside looks beautiful and it’s great to watch a movie that focuses on life as it is rather than life as Hollywood shows it.